Cities Connection Project | BELTRAMINA APARTMENT HOUSE. PREGASSONA. The Molino Nuovo neighborhood contains social housing of great urban density and is mostly composed of build- ings of the “palazzina” type (small apartment houses). The lot has a regular, flat form, and an internal drive leading to a residential building behind it. The building is composed of two symmetrical, mirror- image halves. The entrances are passages, oriented towards the internal drive and the garden. 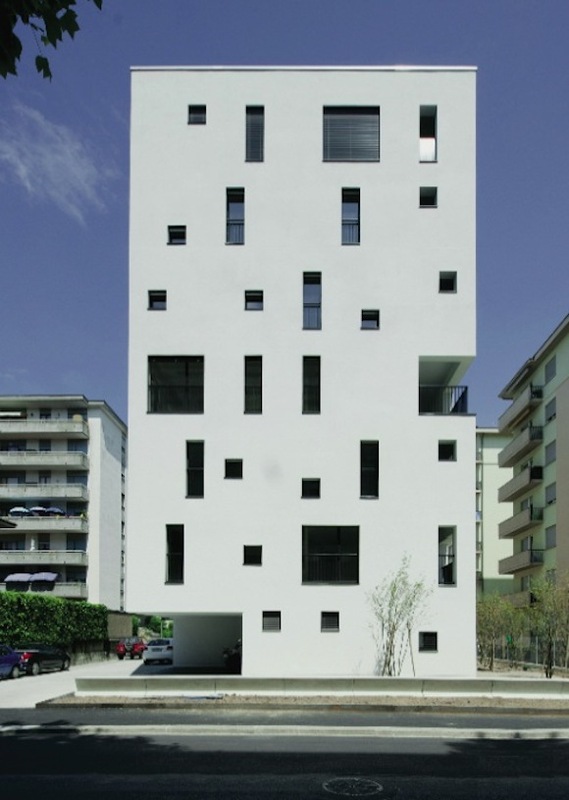 The building appears to be a compact monolithic volume, without a perceptible base or upper cornice. It is “pierced and hol- lowed” to create not only the openings of the windows, but also the accessways, porticos and terraces. 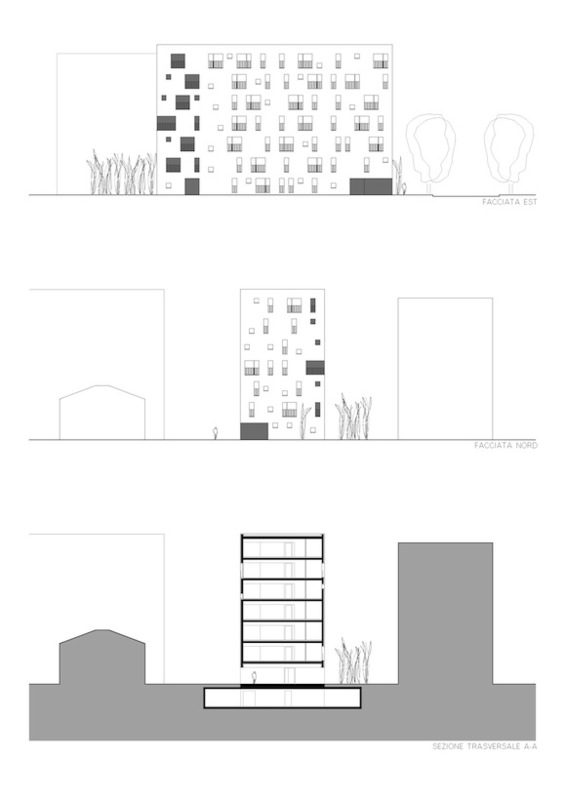 The typological concept of the building with small, low- cost apartments conforms to the program which calls for short-term, “boarding house” rentals. There are two dif- ferent apartment types, from the first to the sixth floor: 24 “studios” and 12 “lofts” with terraces, with custom furnishings. The ground floor contains the entrances with the spaces for bicycles and, at the center, commercial spaces for offices. For rational construction, the plans are repeated identi- cally on the six levels, though the apartments are always different, given the fact that the openings are positioned in a variable way, changing the perception of the spac- es and making each apartment unique. There are three types of windows: square, 70×70 cm, at variable heights; vertical, 70×210 cm; and French windows, 210×210 cm. The positions of the windows offer different outward views, to establish a close, personal dialogue with the neighborhood. The materials: prestressed concrete slabs, masonry walls, cladding with external thermal insulation, stucco and mineral paint. Heat is produced by a water-water pump that draws on the underlying phreatic aquifer.